Exciting update - we now have photos to show you. Below is the land that King's Daughters Village will be built upon. We will keep you posted every step of the way. In the meantime please continue to make your donations through the 1920's party fundraiser. It’s not rocket science. Money as a specific purpose in business and not knowing or understand how to use our money will cause our business to fail. A farmer understands this principle very well. Some money is essential to buy seed. Without seed he will have to crop and without a crop he will have no money and without money he will have no food. He understands that it would be foolishness to use the money that is intended to buy seed, to buy food. You do not eat your seed. It’s plain and obvious. Some money is supposed to be spend on seed and other money is intended to buy food. If you eat your seed then your business will fail within this very first season. This is where most business owners go wrong. They don’t understand the difference between seed and food. They try eating the seed or sowing the food – neither works! There is a time to sow your money so that you get a good crop and there is a time to eat your food. Using your money in the wrong place or at the wrong time will get you nowhere. So, aside from the farmer metaphor, how does this apply to business? Our money has a specific purpose in the same way that a farmer’s seed has a purpose. If you do not sow your seed you cannot expect a harvest. The same applies to business, if you do not sow your money in the right place you cannot expect your business to grow and flourish. Too many business owners expect to draw a salary within the first year of business. Some do manage to draw a salary but if they do their business never grows into anything more than a hand to mouth small business. The wiser way to do things is to find a ways to live without depending on your business in the first year or two and then use your money to sow so that you business grows sufficiently before you start to draw a salary. 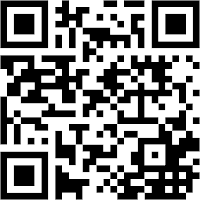 Although this might seem difficult it will offer you greater financial freedom in the long run. The best time to start saving is right at the start. When you get your first money into the bank allocate at least ten percent of it to a savings account. Not only is this a fantastic habit to develop but it also makes perfect sense. Savings should come when you have enough but to save but because you don’t know how much money you will have in the near future. Your savings could be the very thing that keeps your business going when other businesses are failing. Put aside a portion every time you get any money. The wise have wealth and luxury, but fools spend whatever they get. NEVER use your money right down to the last penny – leave a buffer. I call it charity so that it encompasses all forms of generous giving. Believe it or not, being generous and giving away a portion of your money is an essential part of business success. Everyone loves a generous person and the quickest way to gain favour in this world is to be generous with what you earn. As a Christian, it is essential that we don’t hold onto our money. We must be wise stewards but we must also be faithful givers. I firmly believe in giving tithes and offers as well as other acts of financial generosity. How you calculate what you give is entirely up to you but I recommend starting with 10% to your local church. Let your tithe be essential followed by all other sorts of giving. You cannot sow and not reap – so start sowing as soon as you have something to sow and a bountiful harvest will come back to you in season. - Facebook Boosts: Experiment with paying to boost some of your posts. - Business Directory: Depending on your business, it might be good to advertise in your local business directory that is put through letter boxes. These are my top three suggestions. I would suggest that you keep all other expenses as small as possible until you can justify the expense. Another very important part of understanding money is to understand where it comes from and where it goes to. Your financial records are essential for your business success. Make sure that you account for every penny and record it in way that is easy for you to understand. Create graphs and charts if it helps but do whatever it takes to create a clear picture of where your money has come from and where it goes to. Once you know what is working do more of it and when you see something that is not working stop doing it. Your financial records will quickly give you an indication of what is working and what is not. Make sure you keep a separate bank account for business money too. There is no wisdom in running your business out of your personal bank account. The biggest and most important part of understand money is to understand who is boss. If you can master this then you will always be free. Most people are ruled but money which is why they worry so much. They live to make more money to find more security. However, if you can turn the tables and get your mind to realise that it is boss and not your money then you will always be free and will seldom have anything to worry about. I have managed to achieve this mindset but asking myself an important question every time I worried. The question is, “What is the worst that can happen?” Each and every time after asking this question I realised that my fear related to money was irrational. I quickly learned that there is nothing so bad that can happen if I don’t have enough money and the chances of me not having enough money are minimal. It’s not ever as bad as it seems and even losing everything is not as dramatic as it seems. I hope you never experience that but even if you do it might just be the making of you. I have lost everything several times and have no regrets – it actually taught me some of the most valuable lessons I have even learned. Money is no longer my boss, I do not work for it, it works for me and I am the boss! Entrepreneurs who understand this are the ones who get money to do the most for them. 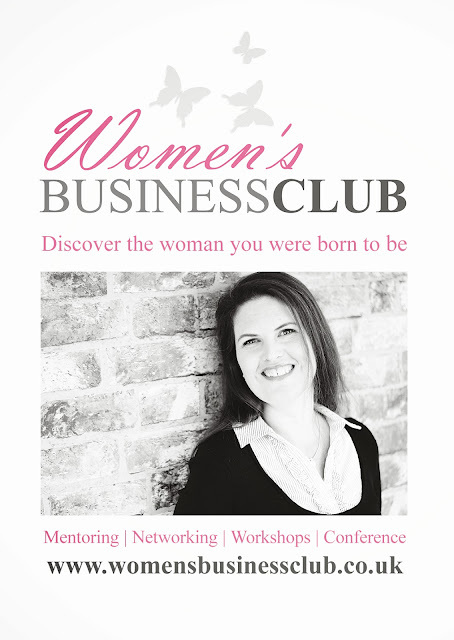 Find out more about Being a Woman in Business here. As you may have noticed, I have been spending a lot of time in the business world this year. God has called me and anointed me for business, as a minister in the business world, and it has been an incredible journey. Since preaching on this very subject one year ago in our church, my whole life has changed. 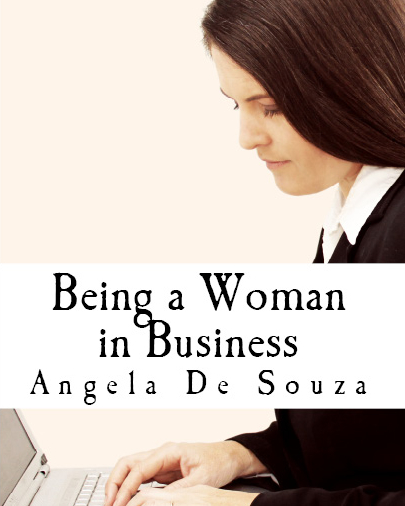 I resisted God for about six months as I did not want to go back into the business world, the failure of my first company was a deep disappointment and I was convinced that I was not a business woman. God saw things differently. My resistance crumbled and He had His way - thank goodness! I have seen the most incredible things happen as a result and I know that God uses the foolish things to confound the wise. I always say to God that I am willing to be the foolish thing in his hand. I am good at that - being nothing and allowing Him to be everything. 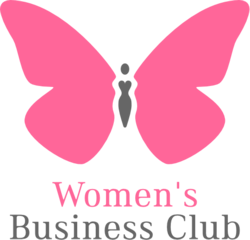 So as a result of all the wonderful and scary things that have happened this year, Women's Business Club was born. In the midst of becoming the woman that I was born to be, I also discovered that I often became confused and frightened. My goals are audacious, my steps are on water and my view of myself is still small. I know who I am and I know who God is and I am never confused about that. Any good in me is because of what God has done in me and because of His great grace that has redeemed the mess that I once made of my life. There is no confusion in this area - I am clothed in His righteousness and I live by grace alone. However, I have learned to be confident and although I feel a great deal of fear this fear never stops me, I do it anyway. So what is my centre? I don't want to say God. I mean, yes it is God, but it is not just Him, it is me too. It is a place where we connect. My centre is when I choose to find God. Daily. It's not a religious act. God will not be displeased if I miss a day, or two. In fact, some days I do. My centre is a place that I chose to go to, as often as possible, usually in the morning. My centre is where I find my God and spend time with Him. It is here that everything makes sense once again. It is here that I feel most like me. How do I do find God? Well, the way I find God and the way you find God will be completely different. There is no recipe or formula, most importantly there is no right or wrong. If you don't know how to find your centre yet then try various things until you find what works for you. For me, I make a cuppa coffee and some cereal, sit in my living room and to start off with I listen to the Bible using my Bible app on my phone. I don't hear 90% of it because I am still half asleep but it is a wonderful way to wake up slowly and get in the 'zone'. Once I have finished my breakfast I put on my current favourite Christian song - I Surrender by Hillsong and then I close my eyes and just sing, listen, talk to God or whatever I want to do. I try not to cry, but have never yet succeeded in being in His presence and not crying. I cry when I repent of my sin, it cleanses me. I cry when I feel Him near, it humbles me. I cry with tears of joy when I remember how much He loves me. Well, if you know me, you probably know I cry a lot anyway about just about everything. And then, after I have cried it all out I just sit and listen to whatever He has to say to me. Sometimes there is just silence, we sit in silence, but I don't want to leave - His presence is so powerful and so wonderful. Other times He speaks. His voice sounds like my own thoughts, there is not an audible voice that I hear. Somehow I know it is Him and not my thoughts. I think it is something inside, the way I feel when He speaks, that helps me to know it is Him. Most of all, His voice is always loving and kind. Even when He corrects me and tells me about something I did wrong, I never feel bad I just feel loved. I wanted to share this with you today, it's difficult to explain, but I hope that between my awkward words that you have found encouragement and perhaps some keys to help you find and keep your centre. Don't let the things of this world corrupt you - these things are small and insignificant in the grand scheme of things. Knowing God is the most important thing you could ever do with your life - everything good flows from that place of simply knowing Him.